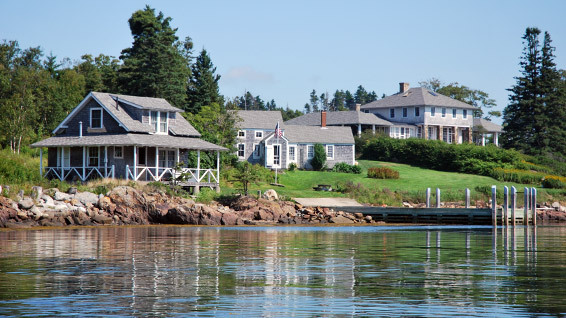 Imagine being picked up in the small fishing village of Port Clyde, Maine, riding just 3 miles out to sea, arriving on a magnificent 110-acre private island and finding yourself transported back to a simpler time when life had fewer distractions and a slower pace. As you step into the beautiful historic buildings, you find them filled with items and furnishings dating from the 1920s. Your rental includes McGee and Barter Islands. McGee Island is the larger of the two islands and has 3 residential structures: the Main House, the Cook House, and the Little Boat House. Barter is the smaller of the two islands, is undeveloped, and is accessible either by boat or by a natural land bridge that appears at low tide. 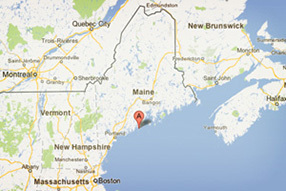 This is a beautiful and memorable location for family reunions on the east coast. If group activities and shared experiences form the basis for life-long bonds, then McGee Island is an ideal location for family reunions. There is a crib in the Main House that was manufactured around 1910. It does not meet current safety codes. Kitchen: The kitchen is equipped with a 25 cubic foot refrigerator / freezer, dishwasher, a range and 2 ovens. © 2012 McGee Island. All rights reserved.